Why are pigs * favored by Internet bigwigs? This is of course not only because pigs are * naive and auspicious, but the huge commercial value behind them is the real concern of giants. Put aside the phenomenon and look at the essence, let's re-examine the matter of raising pigs from the perspective of measuring a business. The size of the pork market may exceed the imagination of many people. 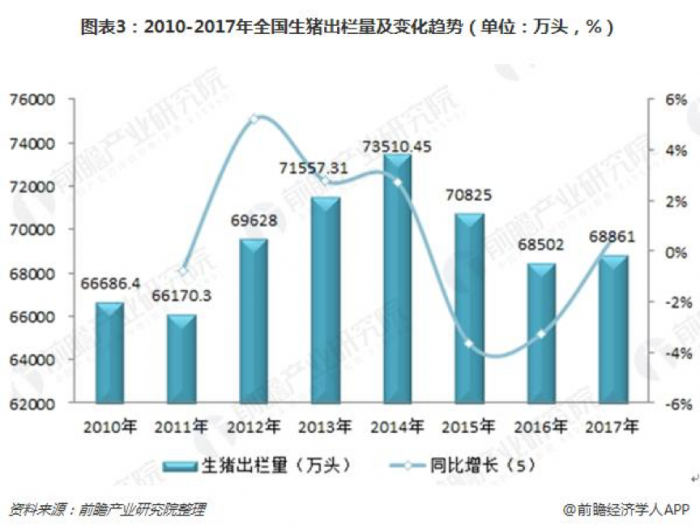 According to the report on Market Prospect and Investment Forecast and Analysis of Live Pig breeding issued by the Research Institute for Foresight Industry, the market scale of China's pig breeding industry is huge, with an average price of 15 yuan per kilogram of live pigs and 115 kg of listed weight. The national annual volume of 700 million roughly estimated, pig breeding market scale as high as 1.2 trillion yuan. That's almost twice the total sales of smartphones. The domestic pork consumption market is bigger than the aquaculture market. China is the largest pork consumer in the world, accounting for more than half of the world's total pork consumption. In China, pork consumption per capita is about 59 kg a year, and the average person eats more than three or two pork a day, twice the world average. Unfortunately, the domestic pork production level can not meet the strong market demand. In recent years, the overall scale of pork imports in China is on the rise. In 2009, domestic pork imports were only 135,000 tons, reaching a peak of 1,622,200 tons by 2106, 12 times as high as seven years ago. This reflects a variety of problems in the domestic pork industry, mainly reflected in frequent price fluctuations and lack of bargaining power. The underlying reason is still to return to the scale and efficiency of pig farming in China. More than 80% of pork in the United States comes from large-scale farmers. Thanks to the reduction of feed, machine room and hydropower costs brought about by large-scale farming, pig prices in the United States have been highly competitive in the international market. In contrast, although the scale of domestic pork pig farming has increased a lot, it is still dominated by retail farming, and the overall scale level is far inferior to that of developed countries such as the United States. This has led to the extremely unstable situation of the pig market in China. Because retail investors lack professional knowledge and are less sensitive to the market, they are greatly affected by disease risk and quality risk, resulting in frequent fluctuations in production and price in domestic pig market. 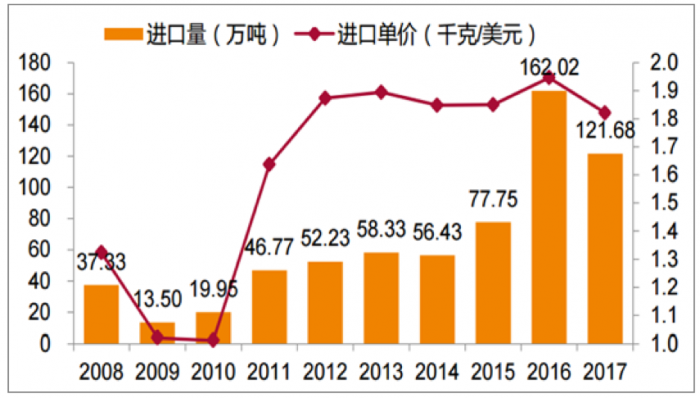 Between 2006 and 2015, the lowest price of live pigs in China was 5.96 yuan/kg, and the highest price was 19.68 yuan/kg. The difference was almost four times. At the same time, with the environmental impact of pig farming gradually emerging, local governments have begun to rectify pig farms. Whether small retail farmers or large-scale farms will face the test of environmental protection. The gap between market demand and industry development is an opportunity for Internet companies. No doubt, who can use Internet technology and thinking to solve the pain between pork production and consumption, who can laugh to the end in the pig-raising war. Next, let's get rid of the fancy marketing gimmicks and see what kind of abacus Internet companies have on pig farming. From the dimension of the model, the Internet companies that raise pigs on the market can basically be divided into three categories, with different purposes. The following will be dismantled one by one. Aliyun and Jingdong are two new players who announced their entry into the pig industry this year. They are not only similar in entry time, but also very similar in tactics: they do not actually operate farms, but carry out "AI Pig Raising Experiment" in the form of cooperation with animal husbandry enterprises and institutions, hoping to provide solutions for the industry from the farming side, and use technology to drive the improvement of production efficiency. Look at Ali Yun's plan first. Aliyun and Sichuan Special Drive Group developed the "world's first AI pig farming", which combines artificial intelligence, cloud computing,videoTechnology and voice technology The technology known as the "ET brain" has landed in transportation, industry, medicine and other areas over the past year, and the ET brain will document each pig based on video analysis based on machine vision technology. These include data on pig breeds, age, feeding status, exercise intensity, and so on. These data can be used to analyze the feeding characteristics and behavioral characteristics of pigs and to carry them through the whole breeding process. For example, in the process of raising pigs, newborn piglets often face the problem of death caused by being overwhelmed by sows. AI pigs can distinguish how many piglets are born every day through image recognition, voice recognition, temperature sensing and other technologies, and determine whether the piglets are delivered spontaneously or midwifery, and which piglets are pressed. JingDong's program also focuses on digital, intelligent and Internet. The technology, known as the Shennong brain, is a digital farm solution that JingDong works with institutions such as China Agricultural University and the Chinese Academy of Agricultural Sciences. One of the most eye-catching is the "pig face recognition" technology, through the identification of each pig to observe and record the weight, growth, health of pigs; automatic regulation of fan, water curtain, heating equipment, control of hog house temperature, humidity; To achieve the accurate allocation of pig feed, thus saving costs. According to the data released by Jingdong, it is estimated that within one year after the deployment of the solution, the artificial cost of aquaculture can be reduced by 30%-50%, and the feed consumption can be reduced by 8%-10%, and the average time to enter the market can be shortened by 5-8 days. 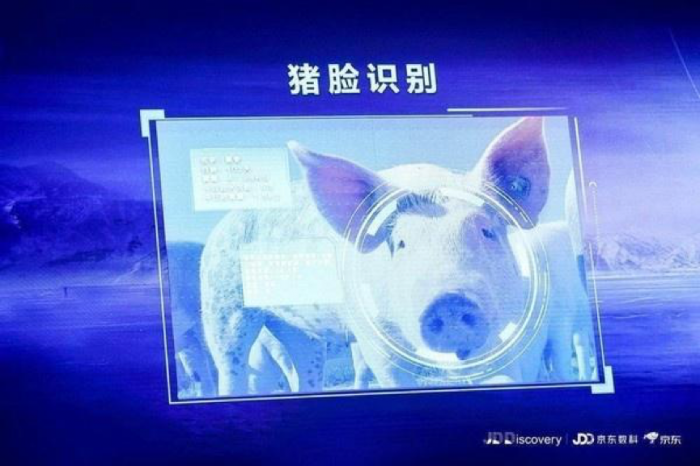 According to the 700 million live pigs produced annually in China, Jingdong Intelligent Farming and Animal Husbandry Solution can help reduce the cost of the industry by more than 50 billion yuan annually. If the farms of Jingdong Shuke and Aliyun are full of the futuristic sense of metal tone, then the style of Netease Weiyang appears to be warm and tender. On the basis of upgrading technology for scientific and technological aquaculture, Netease advocates humane aquaculture. NetEase is the first announced into the pig industry of Internet enterprises, using their own farms, the entire industrial chain mode of production. All the pork sold by NetEase Weiyang comes from its own farms. In the process of breeding, Weiyang pigs squat on toilet seats, live in pig houses called "Amen Fa Yun" in pig farms, do not use limit bars, listen to music, play toys, and eat liquid materials that are automatically fed. All sorts of welfare often lead to the lamentation that people are not as good as pigs. Behind the pig * s high quality life is a set of eco efficient breeding mode created by NetEase. 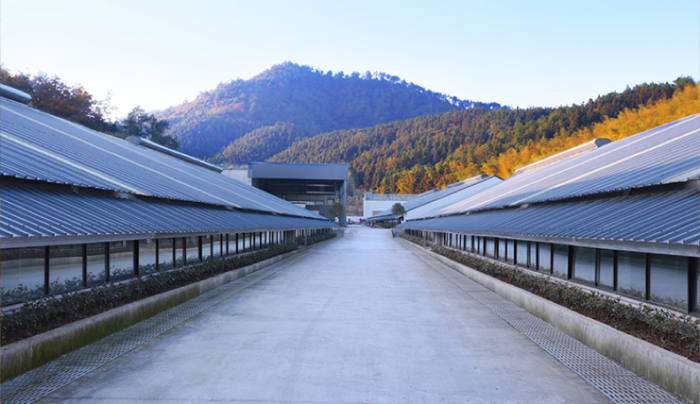 Beginning in 2009, Netease Weiyang visited the global pig farms, slowly experimented in the self-built farms, and spent seven years perfecting the system. This * * model almost reconstructs every detail of pig breeding process, including pig selection, pig farm location, pig house design, feed formulation, excrement treatment, and breeding duration. The core is the "pig toilet" invented by NetEase * and its environmental protection system. The invention of this technology has greatly improved the living environment of * pigs. Previously, even in Europe where pig farming technology is quite high, the treatment of feces and urine is still a difficult problem. European pig farms generally use the model of soaking manure to treat feces and urine, which is to build a deep pit under the pigsty with leaky floor and water in the pit. This method can dilute the odor of feces and urine to a certain extent, but the environment inside the house is not optimistic because of long-term accumulation. The NetEase has trained the pigs to develop the habit of * * * excretion by behavior training, so that the active areas of pigs are separated from the draining areas to ensure that the living environment of pigs is clean and tidy. The collected feces and urine will be treated by environmental protection, which can achieve zero environmental pollution and solve the problem of pig pollution. NetEase Wei pig chooses black pig * * * pigs for 300 days, which is more than twice the average white pig breeding time. It is said that * long term breeding can make the black pig's muscle fat develop well, its aroma and sediment are adequate, and tastes better. NetEasy Weiyang mainly aims at the middle and high-end market with middle-class and above-middle-class users as the main target, so the quality is the focus of NetEasy Weiyang's attention. Of course, through brand-enabled agricultural products, Netease Weiyang's pork can also gain greater bargaining power in the market, reducing the impact of price fluctuations in the pork market. Another company that announced its entry into the Chinese market this year is Crown Group of Denmark. Crown Group of Denmark is the largest pork exporter in the world. It owns more than 2000 pig farms and processes 21 million pigs annually, 92% for export. This year, Crown of Denmark announced that it would invest 411 million yuan to build a meat processing plant in Pinghu, Jiaxing, China, export slaughtered pork to China, and achieve sales and distribution through Alibaba. The Danish crown breeding model and NetEase Weiyang have many similarities: a pig has at least 2 square meters of living space, to provide pig bathing equipment; Each sow produced has its own "safety fence," so that the size of the sows in the feeding, not due to inadvertent and dead piglets; Since birth, all pigs will wear an ear card to trace their birthplace, breeding records, disease treatment and so on. However, the Danish Crown and NetEasy Weiyang still have some differences in many details of cultivation. The Danish crown uses a "ginger and fine grain with light taste" mixed with wheat, barley and mineral as pig feed. * It is said that this kind of pig feed that people can directly eat * can provide more abundant and comprehensive nutrition than traditional feed. Netease Weiyang, on the basis of its special formula, uses a fully automatic liquid grain feeding system. Compared with dry materials, liquid material can not only control the consumption of pig * meal, but also isolate pathogens from space and media, so as to prevent virus transmission from pigs to pigs and pigs. In addition, Denmark * s crown has not been mentioned about pig breeds, breeding time and environmental protection. From the profit model of enterprises, the main demand of Danish Crown lies in large-scale cultivation and efficient production, so as to achieve larger sales, while China is the important market for them to achieve sales growth. It is understood that Danish Crown pork will be raised and slaughtered in Denmark, and domestic factories will complete processing, segmentation, packaging and other links. Summary and Prospect: Where are the Pain Points? Where is the future? 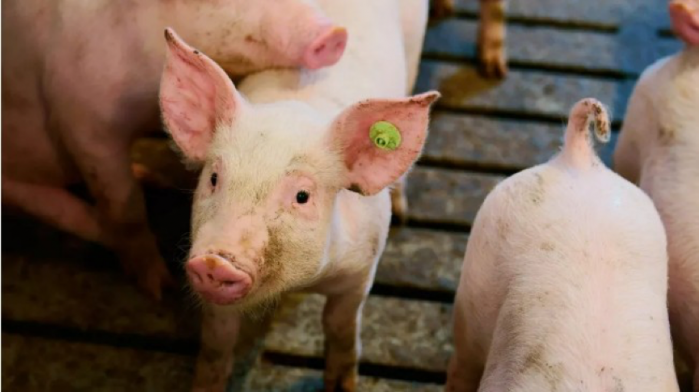 Back to the beginning, in this old story of digging gold from the pain point, the opportunity for Internet companies to raise pigs comes from solving the pain point in pork production and matching the changing market demand. Around this problem, the above three models are attempted from three levels. The sales model represented by Crown of Denmark tries to solve the most basic imbalance between supply and demand. As mentioned earlier, eating imported pork is nothing new. Danish Crown is just one of the heavyweight players in many foreign brands. The cooperation with Alibaba can solve the problems of brand distribution and some sales, but the Danish crown can not avoid the problems of foreign pork in the Chinese market. For example, there are significant differences in pork consumption between Chinese and Westerners. Westerners like big package products of economic "family dress", while Chinese people prefer fresh and independent small packages; Westerners are used to buying delicatessen products with long shelf life, while Chinese people like to buy fresh meat and make it by themselves. Under the different consumption habits, whether the Danish crown can adapt to China's soil and water is still unknown. However, the quality of pork produced under the Crown's proud farming mode in Denmark can still be maintained under the test of long-term and long-distance cold chain transportation, which also needs to be proved by practice. The empowerment model represented by Aliyun and Jingdong Mathematical Section solves the problem of higher production efficiency. Whether "Shennong Brain" or "ET Brain", the core is to improve the efficiency of the breeding end through the application of AI technology. The future business path is not pork sales, but through export technology to provide aquaculture solutions for the industry, so as to make profits. Judging from the current situation of pig breeding industry, the method of technology empowerment does have some imagination space. Due to the increasing pressure of environmental protection, retail farming has quickened its exit from the market, and the trend of the industry's transition to specialization and scale has become increasingly clear. 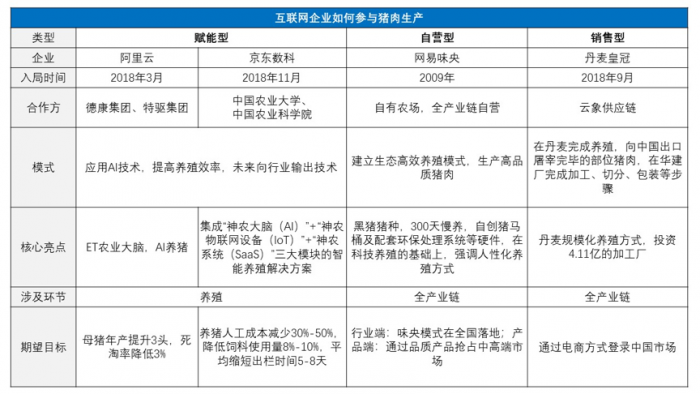 In the process of this great change, there are great opportunities for technology-driven industry upgrading, and Internet enterprises with technology accumulation undoubtedly have core competitiveness. Nevertheless, although AI pig farming has met certain conditions for its realization, it will take some time for AI pig farming technology to complete the experiment and apply it to the actual production according to the current technical conditions and the situation of pig farming industry. At present, it seems that the self-operated mode, which takes into account both the reconstruction of breeding mode and the improvement of pork quality, has practical significance and development space. In the sales model and empowerment model, the pursuit of efficiency is obvious. However, while pursuing efficiency, these enterprises mostly ignore the consumer's demand for quality. At present, the quality of food materials has been paid more and more attention to by new middle-class and above-middle-class consumers. Price sensitivity is decreasing in this group, and this value depression is also attracting the attention of many enterprises. From the model of NetEasy Weiyang, it is easy to see that the application of Internet thinking and technology, the upgrading of breeding welfare, and the concern of breeds and breeding time are ultimately aimed at improving pork quality, which will increase the chips for enterprises to enter the high-end consumer market. According to another source, Netease, which has always regarded pig farming as a "slow business", has recently quickened the pace of model replication. Its new farm will be built and put into production in Gao'an, Jiangxi Province within this year, with an annual output of 150,000 pigs. Of course, to change a trillion-dollar market, it is very difficult to invent a set of technologies by creating a model. Especially in the production side, involving numerous steps, a large number of links and long-term precipitation offline, if Internet companies try to open up the situation with technology, first of all, to break through the industry's deep-rooted traditional thinking, secondly, to break the industry barriers, truly realize the application of AI technology. Although Aliyun and Jingdong Kechuang have handed in beautiful experimental results at present, it is still difficult to see whether this technology can be quickly landed and further expanded in the short term. In the above model, only NetEase Weiyang has actual output, and the pork produced has begun to be sold on the market. It took NetEasy Weiyang nine years to straighten out the whole industry chain from overseas research and learning experience, to build pig farms, to put pork products on line, and to replicate the latest model. During the seven years, NetEasy Weiyang spent in-depth industry learning from scratch to raise pigs and explore its own breeding model. It will take years to advance under the mode of self-owned farm and self-controlled. It is not difficult to judge that pig-raising is a slow business. If Ali and Jingdong are not ready for a 10-year battle, the opportunity of the Nuggets trillion market may only exist in imagination. Taobao, Netease, Jingdong why have started a factory electricity supplier?